Some stoners really love the knockout punch that certain strains of cannabis give them. There’s just something so great about being stoned and really knowing it. 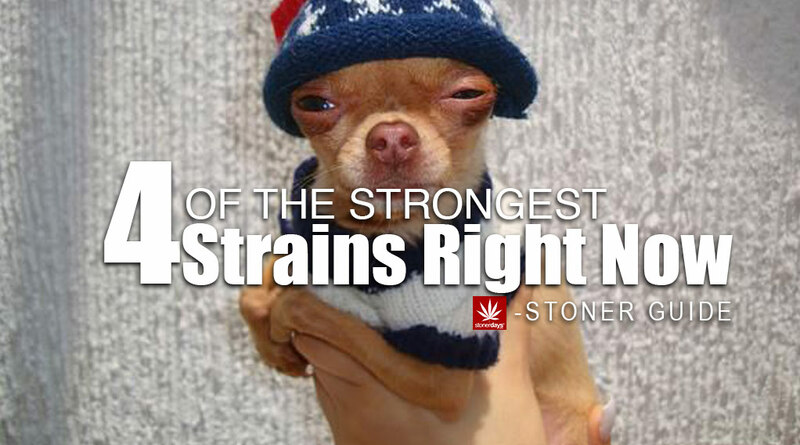 But are you having trouble finding that perfectly strong strain? The one that you’ll really love? Well look no further. This list will give you five of the strongest strains in the US, with THC as high as 32.13%! Already known for being a strong strain, this particular batch is getting close to 30% THC! It’s an indica dominant for those who aren’t familiar and it allegedly comes from three strains; Master Kush, OG Kush, and a third, unknown strain. Platinum OG will give you a brief, head high onset that will eventually become a powerful physical high that is perfect for sleeping, pain, and stress and anxiety. A somewhat new strain to most, Chiquita Banana is a West Coast cross between Ghost OG and Skunk Haze. These two combined create an indica dominant hybrid that actually tastes and smells like, (you guessed it) bananas. It’s not as heavy as our previously mentioned Platinum but instead, the effects are balanced out by the mellow sativa buzz from the Haze. This strain is perfect for heavy stress and depression. It also stimulates creativity and can help those who suffer from social anxiety. This incredibly strong strain is a cross between Emperor OG and Girl Scout Cookies, one of the most popular strains ever to surface in the cannabis social media scene. It is one of only two strains ever that has crossed the 30% THC threshold and comes from Greenwolf LA. Emperor Cookie Dough is great for those who need an appetite stimulant and those who suffer from anxiety and depression. Now the highest THC content bud ever tested at the High Times Cannabis Cup, this Chem Dog is the most potent bud… Ever. Chem Dog is the original source for strains such as OG Kush and Sour Diesel. It has a pungent aroma so if you want to get a hold of this strain, be sure that you can contain it. A smooth smoke accompanied by a very mind blowing high, this is a strain that is recommended to all those who smoke!